G V Prakash’s next film release will be Kadavul Irukkaan Kumaru and he also has many projects in his call sheet diary like Bruce Lee, Rajiv Menon’s film, Adangathaey, Poo Sasi’s venture and there is also Rambhala’s flick. Sources tell behindwoods that GV would soon be directed by choreographer Baba Bhaskar for a film that would be produced by K R Films which distributed Iraivi and Pichaikaaran. The film reportedly has the best technical talent in the form of Velraj as cinematographer, Praveen KL as editor and Kiran as art director. 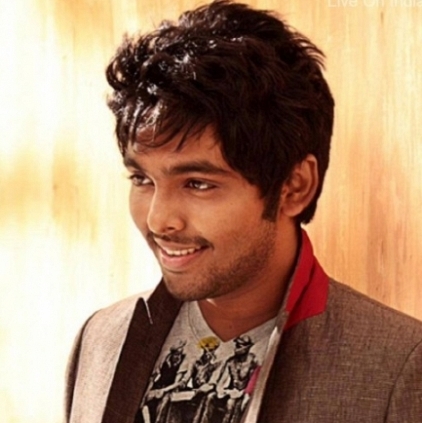 GV is slated to score music for the film. Sources also hint that there would be two heroines for GV in this venture and that the shoot would begin in December. It has to be recalled that GV had two heroines in Darling and Trisha Illana Nayanthara too. Youth's iconic music director for Atharvaa - Nayanthara's next! People looking for online information on Baba Bhaskar, G V Prakash will find this news story useful.